Arkansas’ demand for teachers is steadily increasing, as the state has seen nearly 10 percent growth since the turn of the century. This comes as good news in our current economic times—especially as the cost of living in Arkansas is 14.4 percent lower than the national average. With its affordable standard of living, the natural beauty of the Ozarks, and its southern hospitality, The Natural State might just be the right place for you to bloom and grow in your teaching career. What’s the educational climate in Arkansas? How is the job outlook for Arkansas teachers? What benefits do Arkansas teachers have? How do I become a teacher in Arkansas? The state fosters an environment where teachers have the opportunity to authentically understand the needs of their students, and to make more informed decisions about how to best provide for their educational needs. The results are being recognized both nationally and statewide. 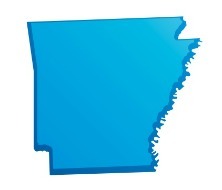 In fact, Education Week’s 2012 “Quality Counts” report ranks Arkansas’ public education system fifth in the country. Within the six subcategories of the journal’s annual report, Arkansas tied for first with Maryland in terms of policies related to transitions and alignment across stages of education. The state also ranked second in the teaching profession category; and in sixth in educational standards, assessment, and accountability. On some tests, student proficiency on the 2011 Arkansas Augmented Benchmark exams has nearly doubled since 2005. Arkansas also enjoys a 12.9-to-1 student-teacher ratio, one of the best in the country. Many educators throughout the country would gladly give up a portion of their salary for these kinds of classroom conditions. Like the vast majority of the states in our union, Arkansas adopted the Common Core State Standards (CCSS). This means that the state is on the advent of some major curricular changes. This is a good time for prospective teachers to look into beginning a career in Arkansas, because such young idealists will be poised to lead the state into meaningful educational reform. As mentioned above, with the increase in population, some of Arkansas fastest growing jobs are in teaching. On the list of top 20 growing occupations in Arkansas from 2010 to 2012, elementary, middle school, and high school teachers are ranked seventh, 17th, and 15th, respectively. In addition to the encouraging numbers in job growth, there are other opportunities for those looking to teach certain subjects. Arkansas has identified several areas of subject shortage (see above Subject Shortage Areas). The state is aggressively looking for teachers who are qualified to teach in these subjects. Also available to prospective teachers who are not yet licensed by the state is the Arkansas Department of Education Non-Traditional Licensure Program (NTLP). This program allows those who are still in the process of earning their teaching licenses to work as paid teachers. These teachers are receiving the kind of guided instruction they need to become independent educators, while receiving a paycheck at the same time. There are some annual fees and paperwork associated with the program. Another noteworthy program is Troops to Teachers (TTT). This program helps those serving in the armed forces make the transition out of military service and into civilian life just a bit easier. Stipends for those who qualify for the program range from $5,000 to $10,000. The average teacher salary in Arkansas is $47,602. Salaries for beginning teachers start at approximately $31,753; the highest pay, with an advanced degree, stands at $70,176. Arkansas is also among the top five states in the nation in terms of average 10-year salary increase, at 44.8 percent. Teaching at a public school in the state gives every teacher access to the Arkansas Education Association (AEA) and all of the benefits that come along with this organization. Some of the benefits of membership include the association lobbying for better salaries and benefits for all school employees, individual on-the-job liability insurance up to $1 million, a comprehensive member benefits program, and complete insurance programs featuring life, health, casualty, and disability. There are other ancillary benefits if one should choose to pursue them, such as loan and mortgage programs, investment programs, discount programs for local business, and other services. There are special benefits for particular types of teachers as well. In an effort to increase diversity among its educators, Arkansas has adopted the State Teacher Education Program (STEP), a federal loan-cancellation program for minority teachers who are teaching in an area of shortage. Program recipients can potentially earn up to $4,000 dollars a year toward the elimination of their outstanding federal loan debts. Of course, there are certain eligibility requirements; for the most up-to-date information, visit the STEP web page. As teachers build their careers in the state, they are simultaneously making an investment in their retirement. The Arkansas Teacher Retirement System for public school employees is a defined benefit plan. A retired teacher can draw on his or her benefits beginning at age 60; and depending on how many years of service, this will cover an increasing percentage of his or her salary over time. In order to be considered a licensed teacher in the state of Arkansas, one must have a minimum of a bachelor’s degree and successful completion of all three Praxis Exams. In order to maintain one’s teaching license, each teacher also must complete 60 hours of approved professional development each year. Teacher preparation programs are offered by various institutions throughout the state of Arkansas. For more information on teacher certification, in addition to links and advice regarding documents, the certification process, and contact information, visit the Arkansas teaching certification website.